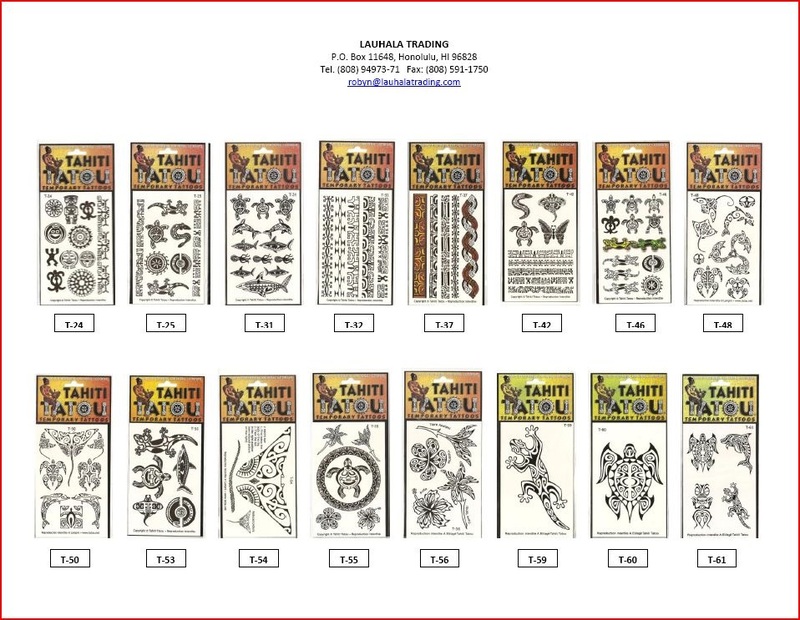 High quality, temporary tattoos in traditional Polynesian designs. Made in Tahiti. Please contact Robyn at (808) 949-7371 or E-mail robyn@lauhalatrading.com to order temporary tattoos.